Gordon Crozier is part of the new multi-family division of Allen Morris. As Director of Investments, Gordon is well versed in all phases of construction and real estate development. 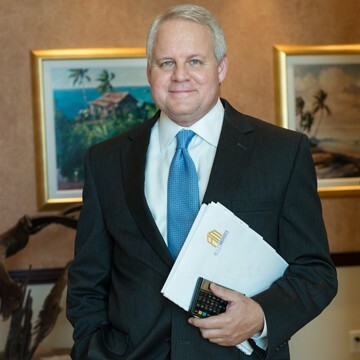 His expertise is in preparing financial statements, including operating and cash budgets and forecasts, audit and tax schedule preparation, forensic accounting, pro forma analysis and feasibility studies, accounting system integration and re-engineering, real estate acquisitions, dispositions, construction and development support. Gordon Crozier has more than 15 years of senior financial management experience with expertise in SEC registration and reporting, treasury management, banking relations, operations management, project management, and mergers and acquisitions. Gordon says he feels a moral obligation to create the very best in the sometimes treacherous multi-family, condominium marketplace. Gordon Crozier has been married to Mary Ann for 20 plus years. Together they have five sons including twins in high school. Gordon loves to fish and coaches youth football. He is the finance director for Advanced Learning Charter School, a high performing Title I Charter School.